Make this gorgeous spirit at least two weeks ahead - the longer you leave it the better. 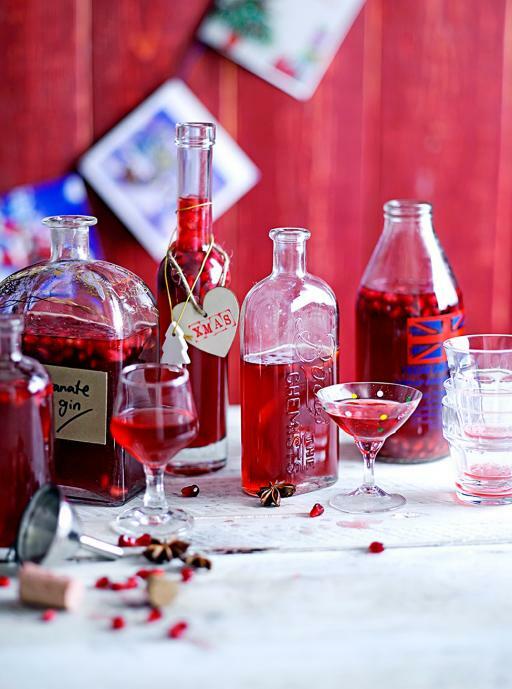 Combine all the ingredients in a pan, except the pomegranate seeds and gin. Heat gently until the sugar has dissolved. Bring to a gentle boil then take off the heat and leave to cool.